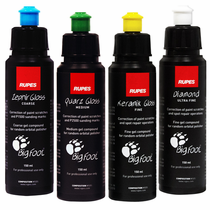 RUPES BigFoot Polishing Compound 150 ml Mix & Match 4 Pack allows you to pick and choose any combination of the four RUPES Polishing Compounds to include coarse, medium, fine and ultra-fine to meet your polishing needs. 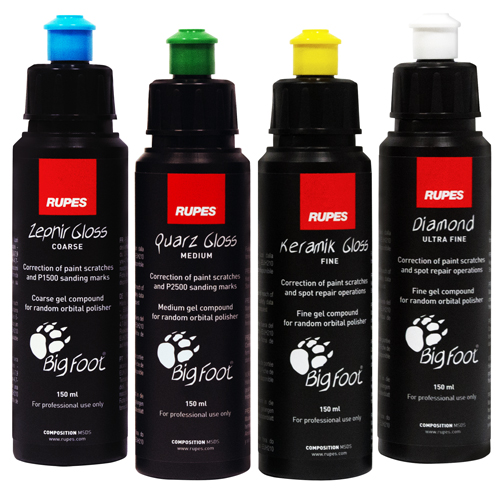 All RUPES BigFoot Polishing Compounds are high-performance, silicone free compounds formulated to work with RUPES BigFoot Foam Polishing Pads and the oscillation of the RUPES BigFoot Orbital Polishers. 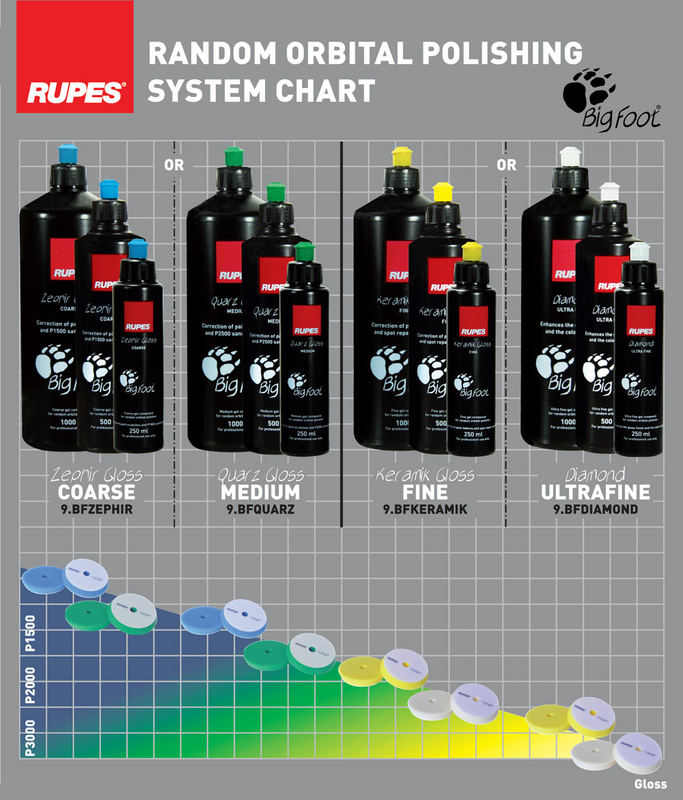 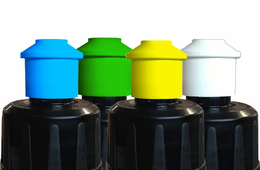 The water soluble RUPES BigFoot Polishing Compounds are made up of the perfect combination of viscosity and aggressiveness for even distribution which allows less compound consumption as well as downward pressure for a more efficient polishing process.